Rachel Caldwell, Alyssa Marks, Andrea Marks, Rachel Rizzuto, Caitlin Sims and Candice Thompson conducted the interviews for this article. Holley Farmer performed with the Merce Cunningham Dance Company for 14 years, until 2009. She created the role of Babe in Twyla Tharp’s Broadway musical Come Fly Away. She is visiting assistant professor at Mills College in Oakland, California, and stages work for the Merce Cunningham Trust. When I teach, I’m aware that the student is the brave one in the room, who doesn’t know what’s coming next and yet decides to commit to the experience. Being around younger people inspires me to be OK with being less in control—both in what I create and how I present myself as a dancer. My first year at Mills I taught five technique classes a week and, outside of warm-up, I never repeated a phrase. That’s something Merce gave to us, and I wanted to see if I could give that, too. Later, I realized the benefit was mainly to me, creatively, and negligible to the students. Now I spend more time with specific concepts. At Mills, we have time to work—and work deeply. Although I’m still in my New York mode of never wasting time, now maybe we’ll talk or do something again, or I’ll create a variation to dig in deeper. And maybe we’ll circle back—now I feel that’s OK.
My role as a teacher is to be involved in change. Right now, I’m in a peculiar and wonderful place. There’s a sense of “got to give this NOW” because I still have muscle memory of Merce’s dances and can demonstrate physically. That’s the top layer, and interestingly, the most superficial. The next layer is passing on this hugely rich tradition of Merce’s technique. I love seeing students discover how they do this technique. The layer that’s broadest and foundational is passing on information that’s both specifically personal (my point of view) and universal to dance artists. The students and I see what happens with the combination of my information and point of view, and their information and point of view. Inevitably, we’re all changed by it. I love hearing that a course I taught changed something for someone, or gave them something, but I hope the most rewarding part of teaching will be an effect I will never get to see. I’m hoping what I give now will be given to someone else, and so on. 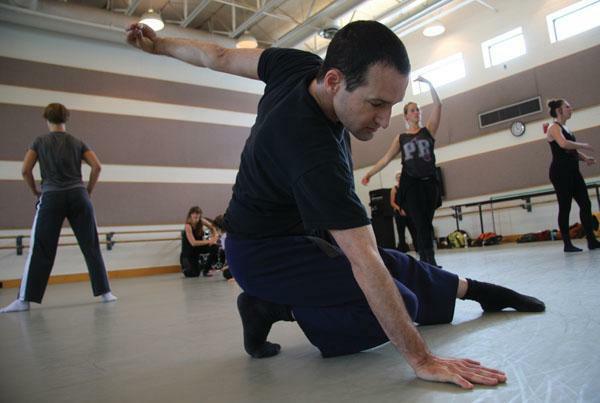 Eric Handman is a choreographer and associate professor at The University of Utah. 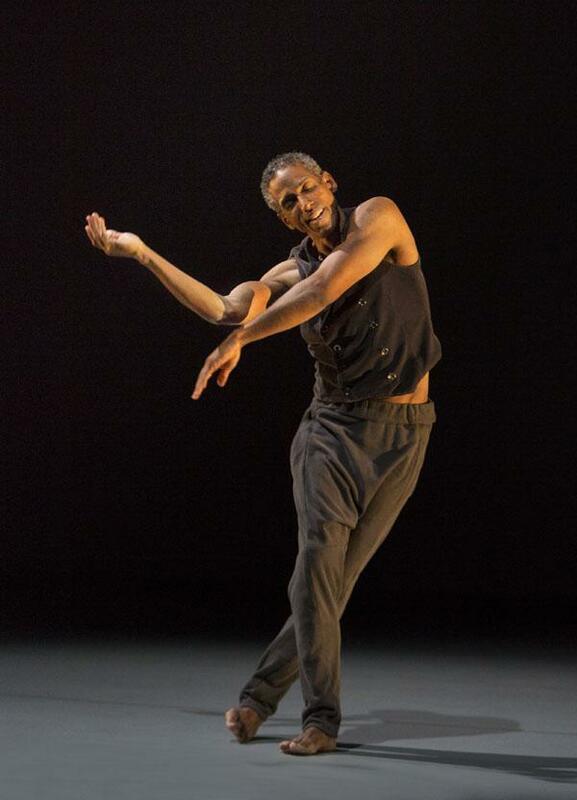 He was a member of New York Theatre Ballet and then danced professionally with Doug Varone and Dancers, Nicholas Leichter Dance and Joy Kellman and Company. Teaching enabled me to be more me as a performer. It’s helped me to have greater conviction and be more vulnerable. Teaching is a practice of bonding with people. And it has been crucial to deepening my ability to bond with my fellow performers as well as my audience. Teaching is a kind of performing, but better. Students are an audience made up of people who care about what you are doing—and how you are doing it. You get to witness and partake in this audience’s development. Like performing, it’s a daily, adrenalized practice of preparing and sharing ideas and challenges that matter. Teaching can be a highly reflective practice. My background as a performer helps me make each moment matter through attention and intention. My performing experience instilled in me the discipline, rigor and ambition to always be improving. Teaching and choreography are symbiotic. 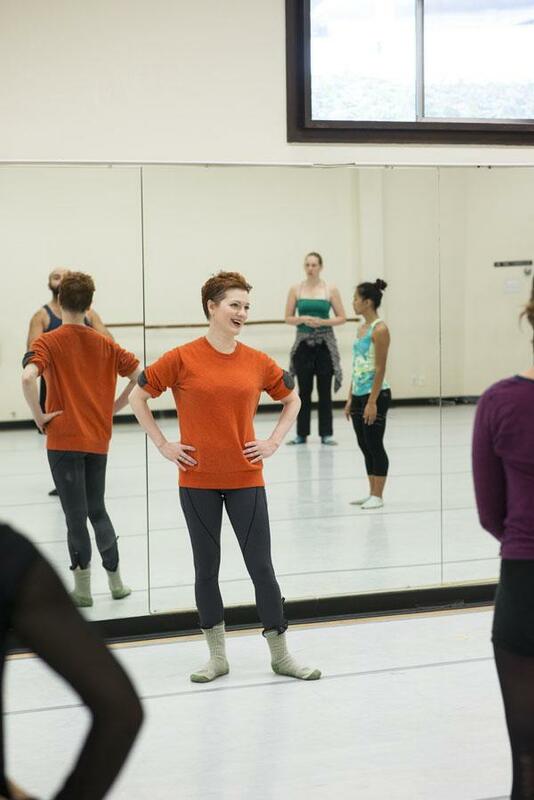 Teaching is where methods of navigating dance-specific challenges are crowd-sourced. 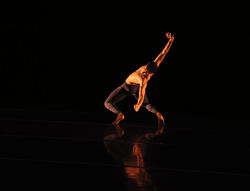 Choreography is often a process of chasing barely articulate glimpses of insight. You need dancers who can help translate your signals. Teaching is where I practice that act of translation publicly. It is often where the subconscious movement impulses arise to verbal consciousness. 2004 Guggenheim fellow David Roussève formed his internationally touring dance-theater company REALITY in 1989. He is professor of choreography at the University of California, Los Angeles, Department of World Arts and Culture/Dance. I’ve had a couple of times teaching composition, where I’ve gone back the second week and rewritten the syllabus. I learned you have to respond to the students in the class, and if your tactics aren’t working, you have to have the chutzpah to start over. We get a lot of competition kids. It used to be very frustrating, introducing them to modern. Now I concentrate on teaching them to make original, exciting, kinetically powerful dance with a sense of purpose. If I can take that sense of physical excitement that so many of them come in with and just expand their notion of what’s possible choreographically, that’s very exciting for me. In my composition classes, I encourage my students to be more analytical about their choreography, to see it in its structure and its pieces. Encouraging students to see their work with clarity is also forcing me to see my work with a deeper clarity. It’s often challenging, filling the needs of the classroom and filling the needs of myself as an artist, but there’s a synergy that I can feel happening for the first time that’s very exciting. My work is definitely benefiting, and my teaching is definitely benefiting from the work, too. 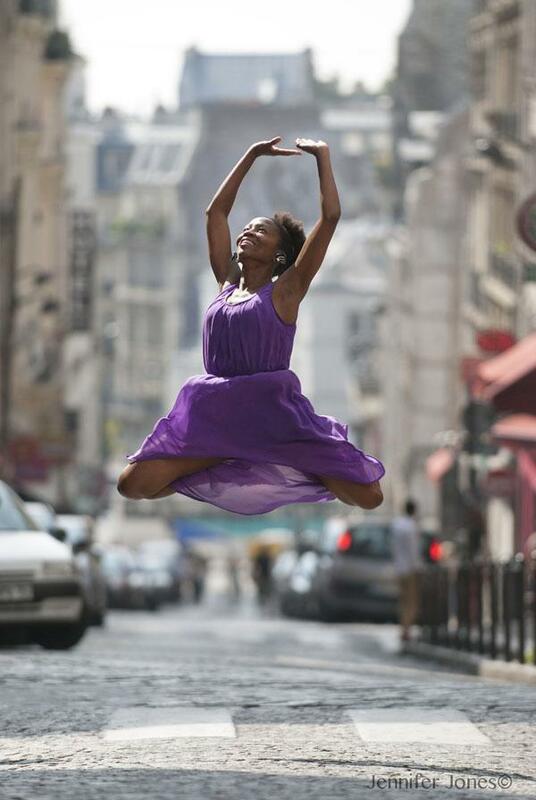 Wanjiru Kamuyu is artistic director of multimedia dance company Wkcollective in Paris, France. She has toured with Urban Bush Women and performed in the Broadway musical The Lion King, as well as Bill T. Jones’ FELA! I remember teaching my first class with Urban Bush Women. Jawole [Willa Jo Zollar] was there. I was trying to please her, please myself and have everyone enjoy the class. I was nervous, which made it difficult to find my voice as a teacher. However, Jawole gave me really good feedback about things to work on. I learned to release, not worry about what others were thinking and let go of the pressure I was putting on myself. When I’m teaching, many times I’m thinking about a choreographic phrase, so I get a chance to better understand the phrase and witness how it translates onto the other bodies. Any questions that arise will help me further investigate and explore the phrase, and to have more clarity and understanding in what I’m doing. The confidence, discipline, meticulousness and presence I bring to my art and performance spill over and inform my presence and artistry in the studio as a teacher. Teaching is a figure eight because you learn from the students while simultaneously learning from your experience teaching. I hope to provide them with insights that they can look back on and pull from, which will hopefully make their journey easier than mine. Stephen “tWitch” Boss got his big break in 2008, when he made it to the Top 10 in Season 4 of “So You Think You Can Dance.” A specialist in hip-hop and street styles, he teaches all levels of dancers with 24 Seven Dance Convention. I started dance late, at 16, so when I first started going to conventions, I didn’t know what was going on. I always appreciated the teachers who recognized that out of the hundreds of kids in the room, at least one person might be taking their first dance class. Things like introducing yourself and saying what style of dance you’re going to be doing went a long way for me. I’ve always gravitated toward teachers like that, who teach to the entire class and let everyone know they’re in a comfortable space to try new things. That’s how I like to teach my classes, as well. I dance because it feels really good to dance. I love to do it. So even when I’m teaching, it still feels good to be dancing with that many people. 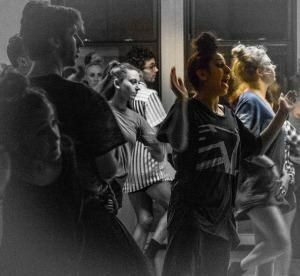 Especially when it comes to street dance and hip hop, there’s a feeling of community, because that’s how the whole thing started. It didn’t start in a studio in front of mirrors listening to a teacher. It started in a very social environment. I like to connect with my students and my audience like that. Even when I’m teaching, I’m still a part of the community. It’s not a dictatorship; it’s a huge conversation. Cat Cogliandro has worked with Sonya Tayeh, Al Blackstone, Jason Gorman, Nicholas Ross, Brook Notary and more. Her choreography has been showcased by her company, catastrophe!, at The Young Choreographers Festival, Sirens After Dark, The Pulse Showcase Finale, Jared Grimes’ Feel Good and other events. She is currently on faculty at EDGE Performing Arts Center in Los Angeles. My teachers were really hard on me, but it was tough love. They taught me that it’s not about being the “cool” teacher; it’s about being the teacher who teaches. The one who’s hands-on and pushes you to the ground to teach you to be off your center, then makes you figure out how to get back up. The teachers who flip out at the drop of a dime are the ones that actually made me a better dancer. They scared me a little, and that really lit a fire and pushed me to always be the best version of me I can. I really get to practice what I preach. It all comes full circle, because the things I’ve picked up in rehearsals or when performing for others are the things I stress to my students. It keeps me accountable when I’m back in the role of the student or creator. If they’re giving me so much of themselves, I have more to work with and mold. I used to be the concrete dancer. I didn’t give much, but watching students become like Play-Doh—dancers willing to give and change, to be shaped—helped me learn to give as a performer and taught me how to work with all kinds of dancers and choreographers. 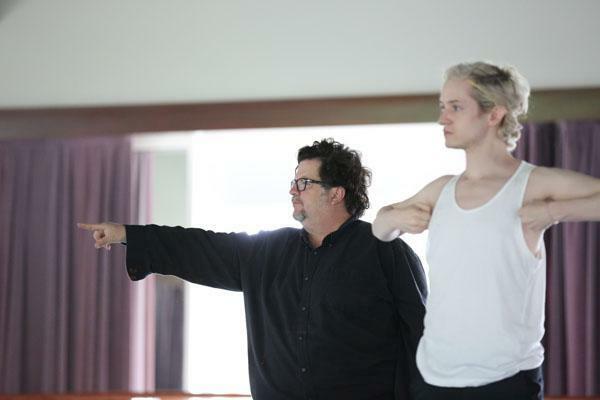 Tere O’Connor is a Bessie Award–winning choreographer and 1993 Guggenheim fellow who splits his time between his company, Tere O’Connor Dance, and as a professor at the University of Illinois, Urbana-Champaign. When I first started teaching, I had to figure out how to use the time in class. I remember finishing about 40 minutes early because I had no more material. You gain understanding every day about how to teach and include students in the learning and the teaching, how to have them share the information with each other. Now, I say, “Here are some suggestions for you to apply, and it’s going to take a long time.” Even if it’s in ballet class, and I’m telling someone: “I think it would be better for you to have your hip socket more over the center of your ankle.” Well, if they’ve been doing it another way, it’s going to take a while to get there. The most rewarding part is getting to know all of these amazing people. They present questions that really challenge my ideas, and that’s a blessing to have someone destabilize your thinking. It unleashes you to go to some next level yourself. Largely I teach composition and theory around composition, and the kind of questions I encourage my students to ask themselves are also questions I continue to ask myself. I think it’s very noble to dance at this point on earth. It’s really impossible to make a living at, so I have a lot of respect for people who are doing it. Julie Diana was a principal dancer with San Francisco Ballet and Pennsylvania Ballet. She retired from the stage in 2014 and joined the PAB artistic staff as ballet master. During my very first class as a teacher, I remember being unusually conscious of where my body was in space. It felt very strange to be on the outside, no longer standing at the barre but, instead, looking at the class. Though I feel very comfortable in my role now, that memory helps me remember what dancing feels like when I teach. I used to show things more when I was still dancing, but now I am happier to use my words. However, I still try to remain sympathetic to how hard ballet is, because if you get too out of touch, it can affect how you structure the class. Teaching certainly made me step back and think about my own approaches to how steps are done—why I think the way I do, break it down. I feel that my work with the students informs my own technique, makes me reanalyze.